Please keep in mind that WPML is a multilanguage plugin which is paid. Must be installed and used separately from the theme. It requires admin translates everything manually from wp-admin. Also, the support for the plugin is normally done by WPML as the support code is based on their documentation and instructions. They tested the theme before confirming it is WPML ready. 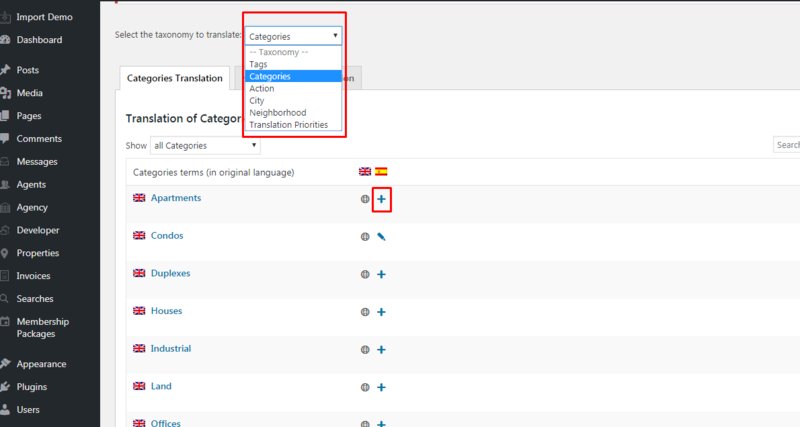 If there are settings we know of how to translate, we help without issues. But if there are problems, these have to be fwd-ed to WPML plugin support. 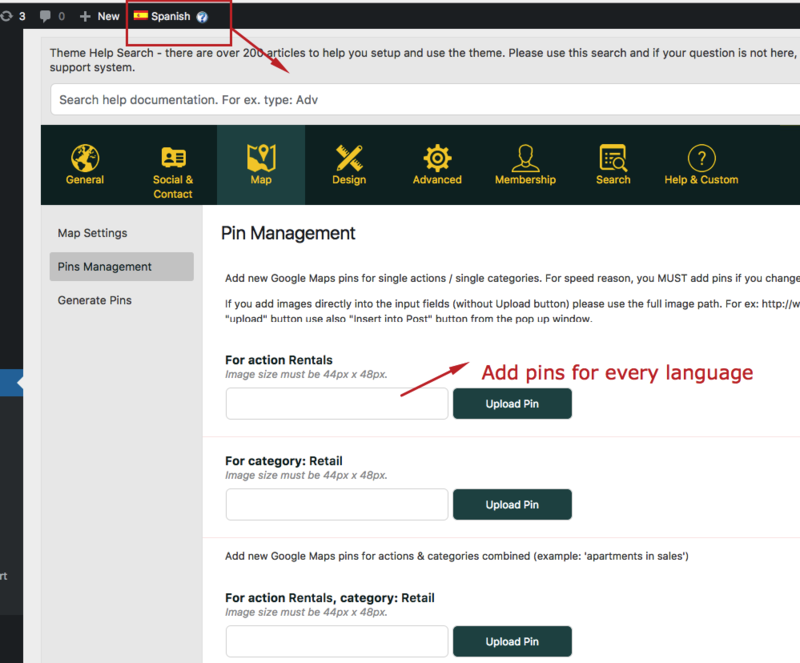 How to make Read From File YES – generate pins.txt file in all languages. 1. If you use Read From File YES (and I see you do) , make sure WP RESIDENCE 1.11.1 or above is your main theme because this one has an update for this read system + WPML and follow these steps. And make sure you have + WPML 3.2 or above. With Duplicate, you will need to replace the details from main language. In both cases, a new property will be created with a different ID. The 2 property pages will be linked between them. For pages with VP Bakery theme shortcodes that require ID, please make sure that you take the from the translated property. The same applies for Agency, Developer custom posts. The only widget that needs translation is Featured Property widget since WPML creates a unique ID for translations. For this widget we recommend to use WPML Widget plugin to display the Featured Property widget based on the property ID in each translation. The rest Widgets text translate with POEDIT for each language as those are default texts. Contact Widget details are translated from String Translation. When using a parent child theme the wpml-config.xml file of the parent theme will need to be renamed or deleted and the wpml-config.xml file of the child’s theme will be taken into affect.